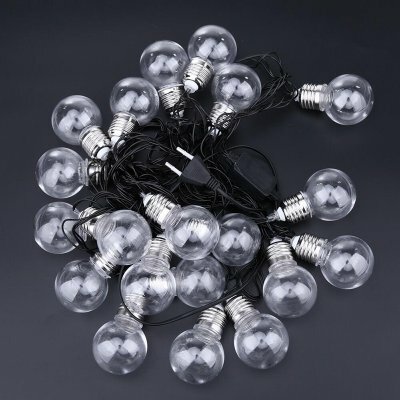 Successfully Added 6M 20 LED Light Waterproof Flexible LED String Colored Light to your Shopping Cart. Made of high quality material, nontoxic, heat-resistant, odour free, safe to use. 6 meters long, 20 LED light uniformly distributed over a flexible wire. Waterproof, even in the outdoors can be assured to use. Good Christmas decoration, create a dreamlike atmosphere for your family. Applicable: House, room, garden, tree, etc.